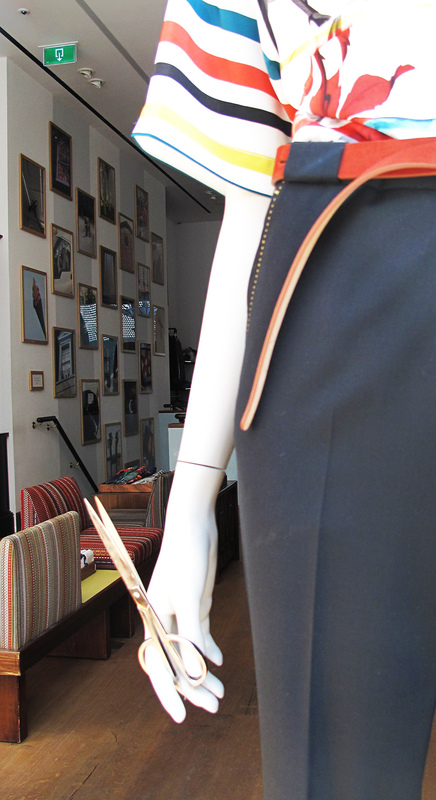 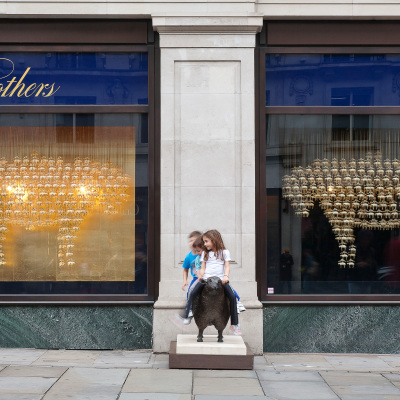 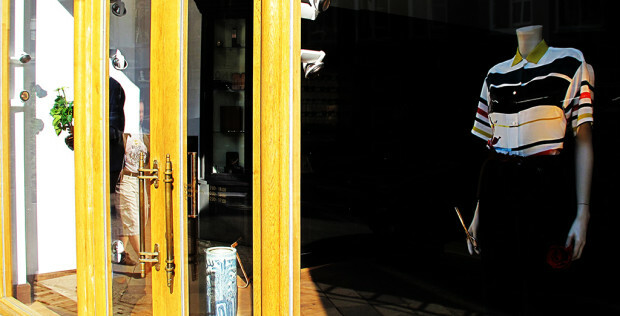 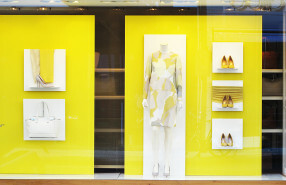 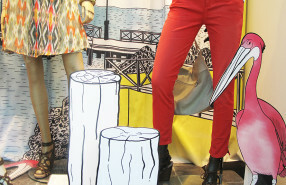 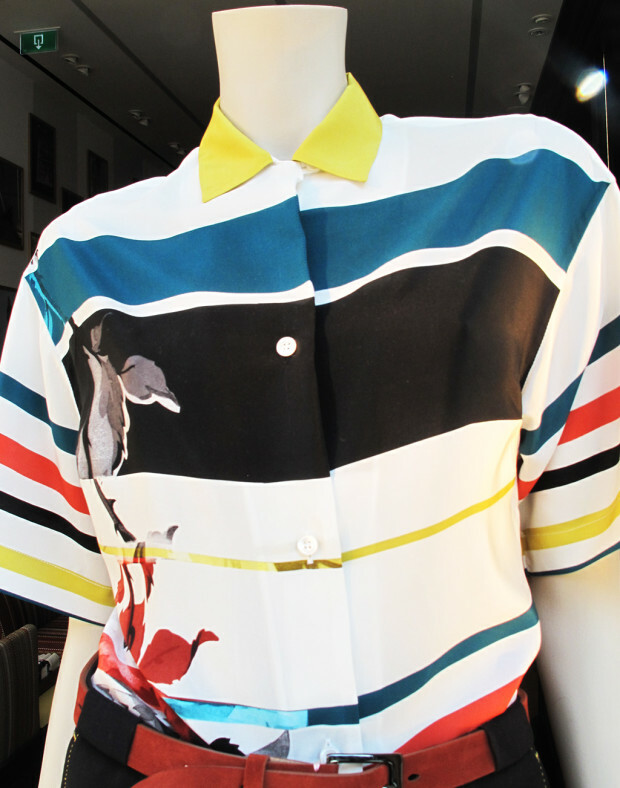 Paul Smith summer window display is a love story that doesn’t end so great. 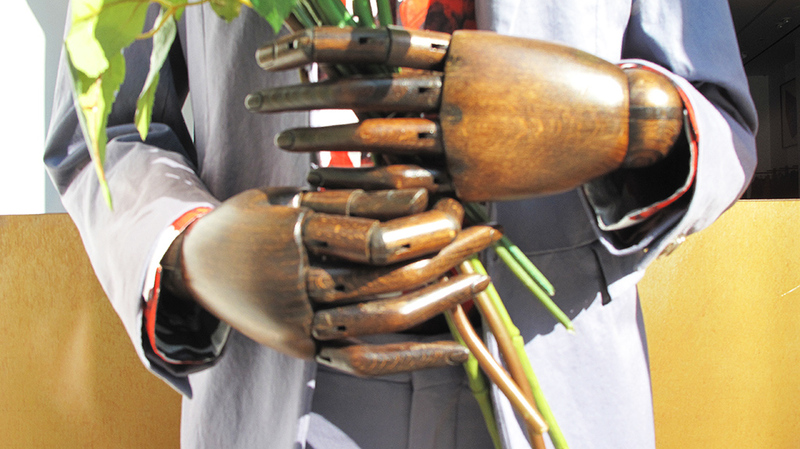 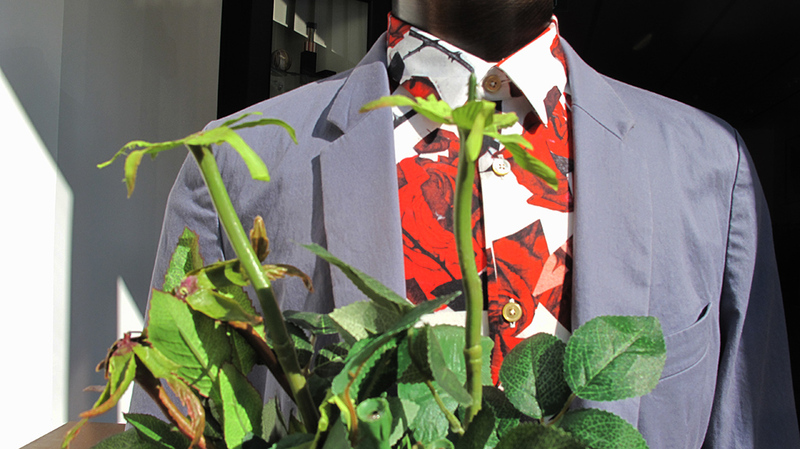 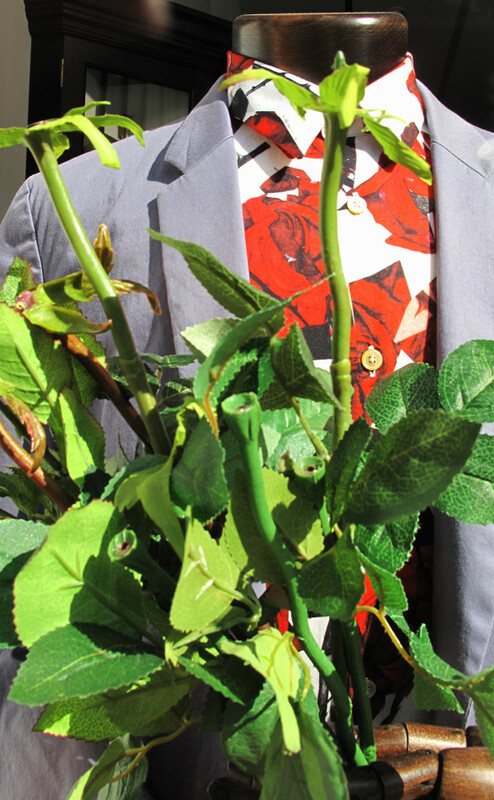 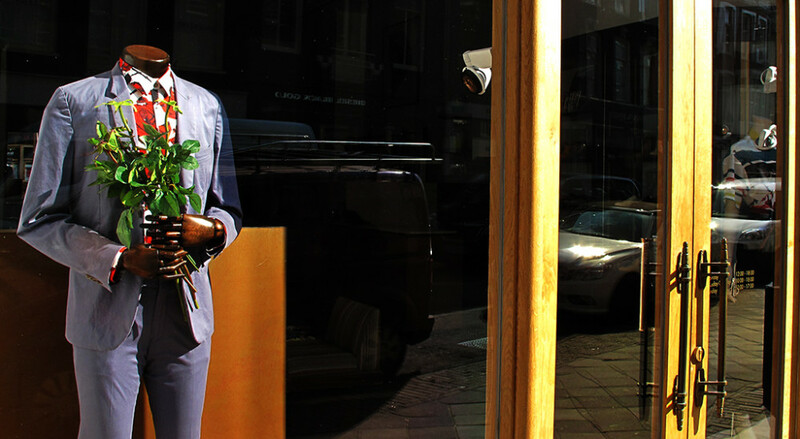 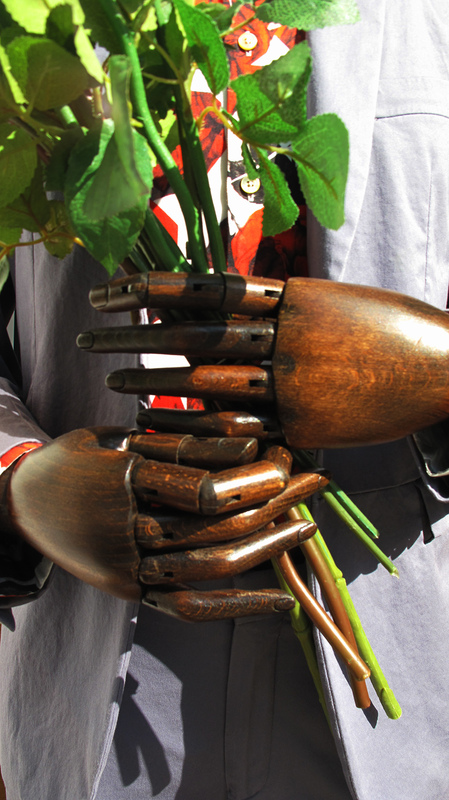 The male mannequin is bringing a roses bouquet to his loved one. 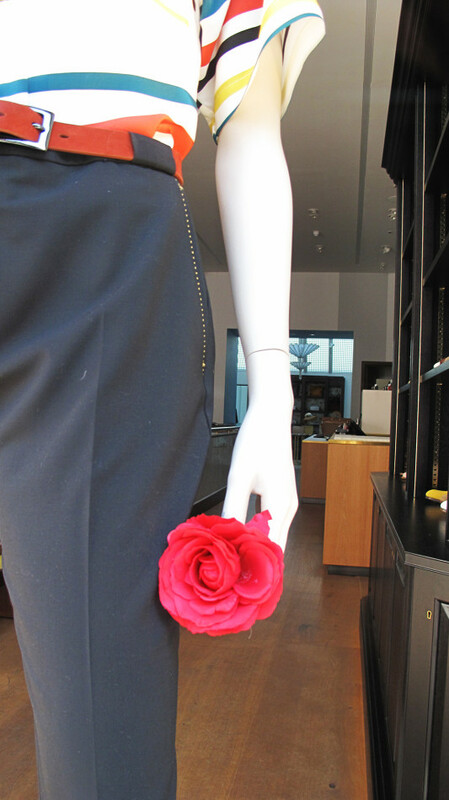 The female mannequin is not interested and started to cut off the roses of the bouquet with a scissor.